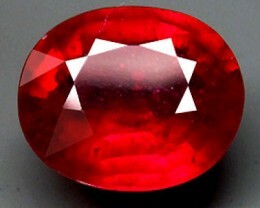 Earth mined, glass treated Ruby. Origin: Africa Treatments: Heated, Lead Glass Treated. 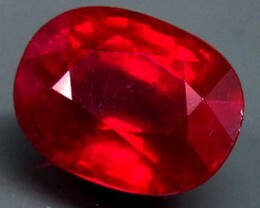 Currently, most Rubies are routinely Lead Glass treated. This process enhances the beauty of the gem by infusing leaded glass to eliminate surface Fissures and imperfections and improve the clarity and appearance of the gem. 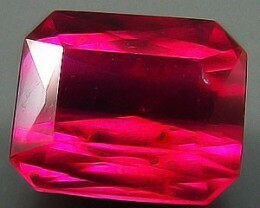 The vast majority of Rubies available on the market today are Lead Glass Treated. These treatments do not compromise the durability of the gem. All Gemstar stones are guaranteed. 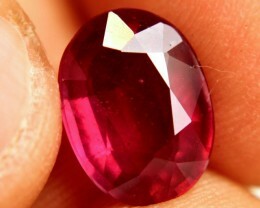 Untreated rubies show significantly higher, flaws, inclusions and defects. Purchasers, tend to prefer the beauty that results from the treatment of these gems. 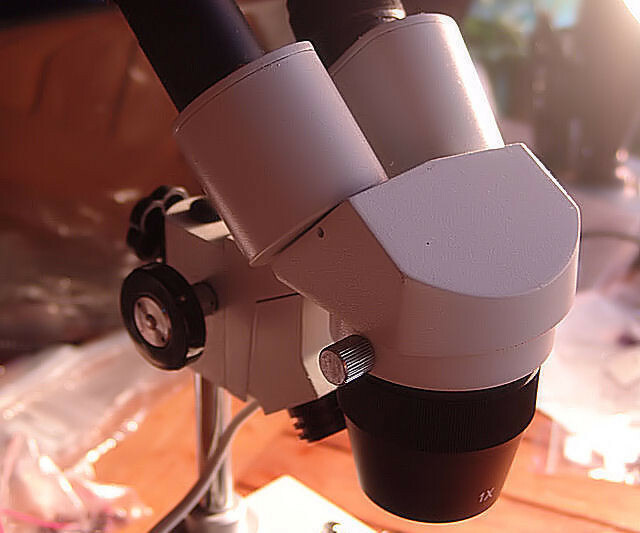 If a Gemstar stone deteriorates due to a naturally occurring flaw within the first year of use, upon return of item, Gemstar will refund the Purchase price. .
For a Company dedicated almost exclusively to $1NR Auctions, visit our Sister Company "Syncity". Clarity: Professional purchasers in the gem trade prize clarity. 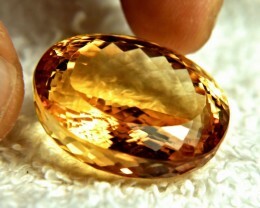 While inclusions may not be visible to the unaided eye they change the dispersion of light and impact the stone’s “flash“, “fire” and appearance. SI-1 This is slightly included stones. They are common. 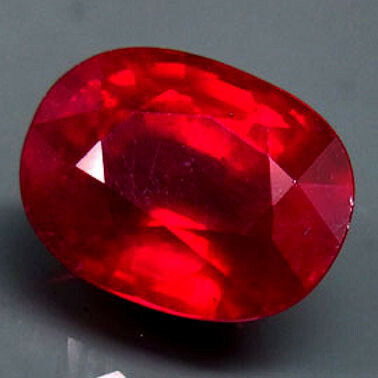 An estimated 90% of professionally cut rubies fall into this class. 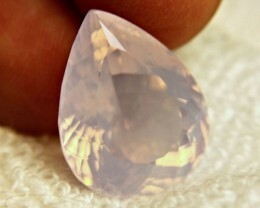 The inclusions can and usually do result in a somewhat lifeless stone with low luster, fire or “flash”. 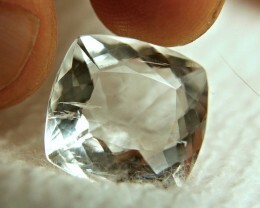 In other cases, the gem may give a dirty or soiled appearance. Sometimes even these "inferior" gems can have a beautiful "hand held appearance". Mid size gems of 3 carats and less are common, Large gems 3 carats and above are less common, but are typically, not thought of as investment grade stones. An ideal application for these stones is where the finished product is intended to bring $150 to $200 per carat. 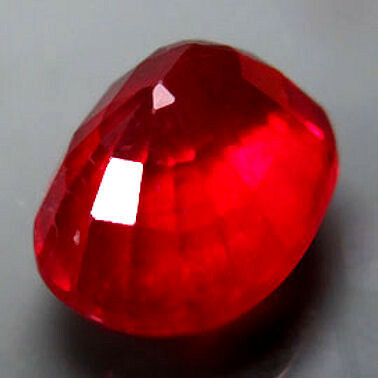 VVS-IF is very rare and very prized in rubies - synthetics tend to be VVS-IF but can be readily detected by a gemologist. It is recommended that you purchase stones of this quality from trusted sources. 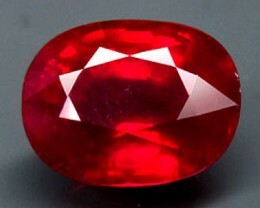 VVS-IF rubies typically retail for more than highest quality diamonds of similar size. 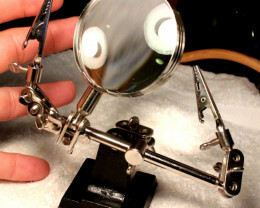 Cut: Gemcutters are not born, they learn their trade the way everyone does, by practice. Uneven facets and uneven overall shape tend to be the hallmarks of untrained or inexperienced cutters. Poorly cut stones tend to be shunned by retailers looking for anything other than lowest end merchandise. As with most businesses, gem cutting operations rarely give promising “rough stones” to novice cutters. The risk of ruining a valuable gem is simply too great. The best cutters get the best rough to work with. As gems move into the VS-SI and even more so, the VS category, this tends to become less of a problem. 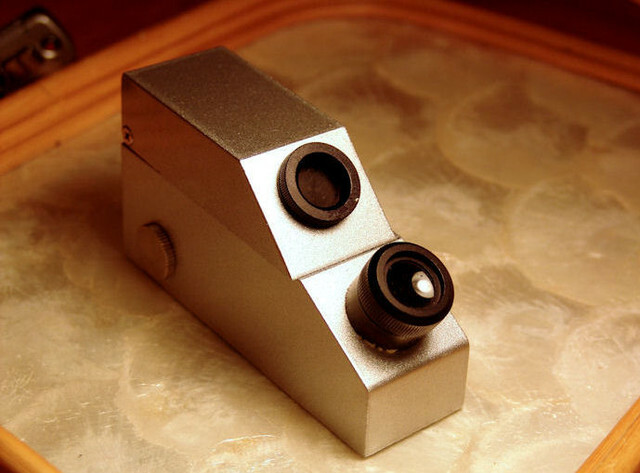 When making a purchase look carefully at the reflections coming from the facets, check for uneven lines. If you can notice it in a picture it will be apparent in the stone when received. Stones with a dull appearance or stones that don’t show faceting in photographs are likely to have a poor cut. Color: Color is a subjective evaluation. 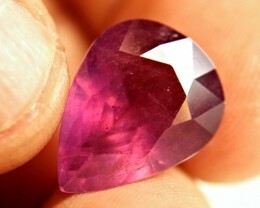 A pink ruby gemstone can give a wonderful appearance as does a “Pidgeon Blood”. Historically the color that has the highest value is Pidgeon Blood. Saturation is also a factor, the higher the saturation is, the deeper the color. A very low saturation stone is easier to look through, a high saturation stone gives a darker color. Size: Carat weight helps determine a gem’s value as the available “rough” decreases geometrically as one looks for larger and larger gems. De-class stones, stones that lack transparency can be as large as a fist and still have uncertain investment value. Stones above 4 carats in a VS-SI or VS category are scarce. Hopefully this guide adds to your ability to make an investment that can bring a lifetime of proud ownership. 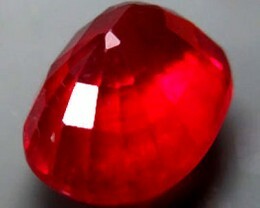 Origin: Gemstar rubies come only from Vendors indicating origins other than "Myanmar". *The retail prices indicated are not a guarantee that the products these stones go into will yield a specific return. Factors including clientele can have a very significant impact on retail prices. These gems in their natural state tend to have far fewer inclusions than rubies. VVS and VS occur with far greater frequency than with rubies. 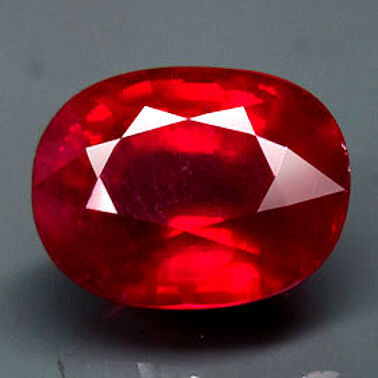 While fine Ruby gemstones come in a small array of colors, sapphires can span a very wide spectrum including pink, white, the traditional blues, oranges, songea, and even green. some of the colors are natural some are the result of a process called heat diffusion. This is a heated chemical bath that infuses the gem with additional color enhancing chemicals. Heat diffusion began many years ago and got a bad reputation as a surface treatment with limited resistance to abrasion and wear. Modern heat diffusion is a treatment that permeates all layers of the gem and is a permanent change in the chemical composition of the entire stone. Modern diffusion is impervious to wear and abrasion. There is some controversy as to whether this treatment effects the value of the gem. When it is obvious, it appears as parallel bands of color or patches of color. 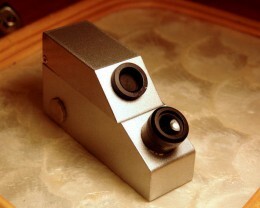 In this condition it has a negative effect on appearance and consequently on value. In many instances the treatment doesn't detract from appearance and value. Heating in these stones as well as in rubies, has been common for centuries, probably dating back to the first time a stone cutter/miner gathered around the fire and accidentally dropped in a valuable stone. Sapphires tend to be significantly smaller than rubies. Carat weights above 2 or 3 carats with good clarity are something of a "find". Emeralds seem to be the weird stepchildren of the gem world. Imitation, or laboratory produced stones look universally glassy and unnatural. These gems are the most difficult to produce under laboratory conditions, few labs even attempt it. On the other hand, the natural stones have far more inclusions than rubies or sapphires. A one carat VVS/IF emerald typically carries a wholesale price of $14,000 or more. Gems with SI clarity can bring handsome prices. 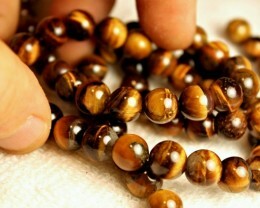 The appearance of these gems can be enhanced by "oiling", this is a simple immersion in a very light grade oil combined with a mild application of heat. The oil after a period of months or years eventually evaporates and the stone looses some of its glitter. 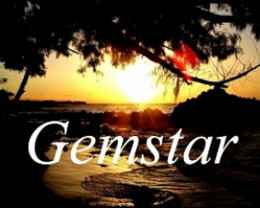 Since the treatment is so universal, perhaps the moral of the story could be "learn how to refresh your suntanned gem"? On the whole, emeralds are far more rare than other gemstones.